With a sleek design available in nine beautiful, saturated colors, the Siesta would be a welcomed addition to any living or kitchen space. Plus, with the Siesta, cleanup is a breeze! The Prima Classe fabric can quickly be wiped clean with a damp cloth. The Stop & Go system was designed so that the high chair cannot be pushed without pushing down the two buttons on the side of the high chair. 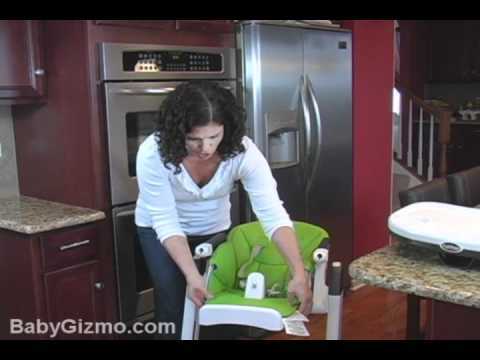 This is a safety measure in order to keep the child from pushing himself around while the high chair is in use. 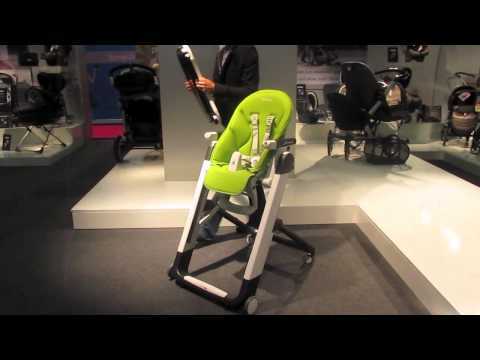 The Stop & Go system is used in conjunction with mar-resistant caster wheels that allow for the high chair to be pushed around with ease when the buttons are activated. Cacao showcases beautiful buttery-soft material in a rich chocolate brown. Durable, stain resistant and easy to clean, Cacao is the perfect blend of luxury and practicality. Part of Peg Perego’s Prima Classe Fabrics.